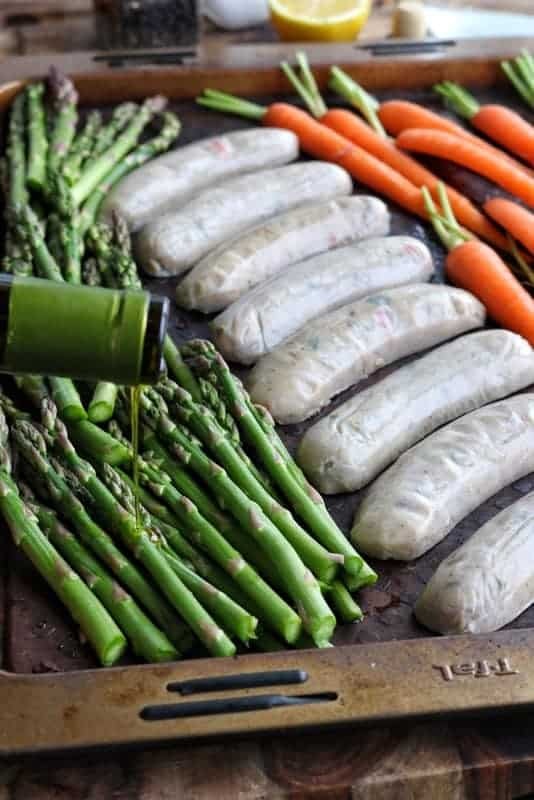 This healthy sheet pan dinner utilizes prepackaged chicken sausage links combined with fresh veggies to get a healthy dinner on the table in 20 minutes. Sheet pan meals are great ideas for quick dinners. 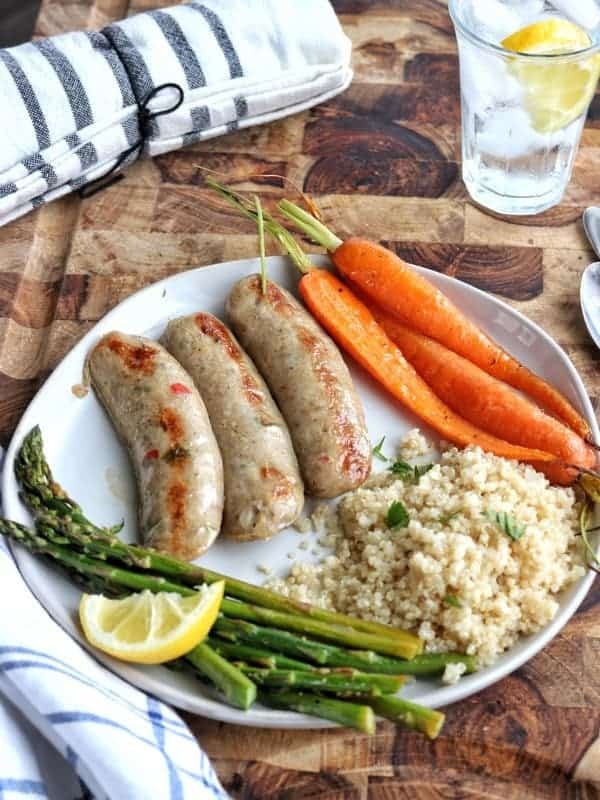 Made with prepackaged chicken sausage links, this wholesome dinner comes together quickly. Pick your protein, such as chicken sausage, polish sausage, or kielbasa. Arrange sausage in the middle of a sheet pan, slicing in half if desired. Bake for 15 minutes or until veggies are cooked through. 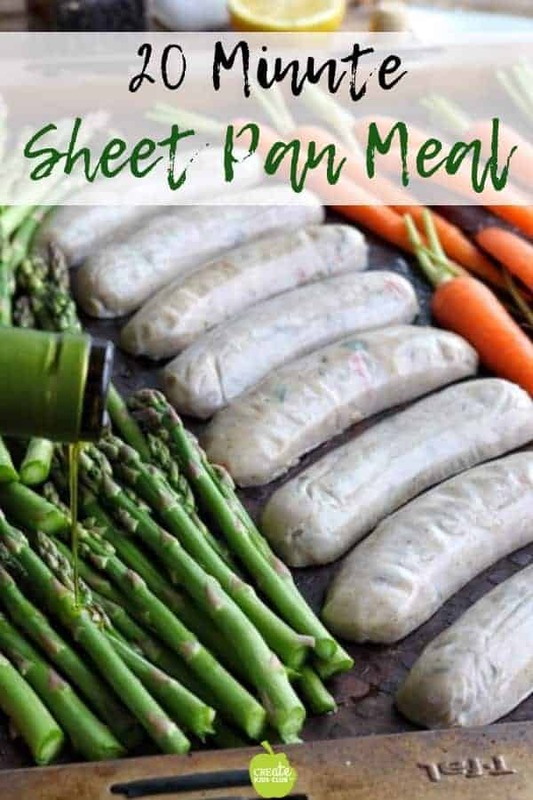 Taking just 20 minutes from start to finish, sheet pan meals are a great dinner idea for busy nights or for when you just don’t feel like cooking. Serve with some rice, quinoa, or crusty French bread, and dinner is served! Bake for 15 minutes or until carrots are cooked. Serve with your favorite whole grain such as quinoa, brown rice, or a whole grain roll. 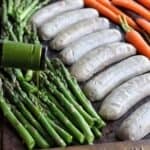 If you enjoyed this recipe, make sure to check out the following recipes, also made with precooked chicken sausage! This recipe was so easy, my family loved it, and took just 20 minutes. Thank you for this yummy meal!